At the Senate meeting of Wednesday February 21, 2018, the Vice-Chancellor of Ignatius Ajuru University of Education, Professor Ozo-Mekuri Ndimele had lamented the poor reading culture among students and added that no single student was found at the classrooms when he and other principal officers of the university visited the classrooms past 10pm. He also wondered why the university health centre at that same time was in total darkness devoid of electricity when the university generator was on. Professor Ndimele directed the University Librarian to work out a shift roster for staff of the department to accommodate the extension of the study time for students at the library. The Chairman of Senate reminded staff of the reason why the staff club was built and frowned at the fact that it is being underutilized. He encouraged members to interact , share ideas as well as relax there after the day’s job. 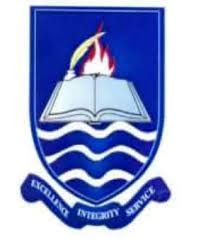 Senate equally gave approval for students of the University of Ibadan willing to transfer their studentship to Ignatius Ajuru University of Education to apply for them to be offered admission. Council, according to the Vice-Chancellor, has awarded contracts for the building of postgraduate and undergraduate classrooms and hostels to cater for the increasing number of students and the contractors have been given four months to complete the projects which would serve as centres for excellence. The classrooms would be air conditioned and fenced off with security men put in place to guard the students at nights while reading and returning back to their hostels to prevent molestations by hoodlums. Senate also reviewed and approved results for convocation this April.